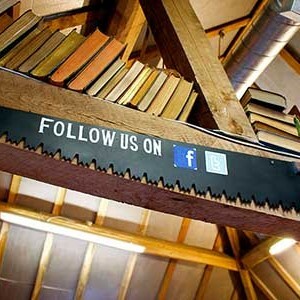 The largest second hand book shop in the Midlands, Astley Book Farm is a beautiful place to get lost in for an afternoon. 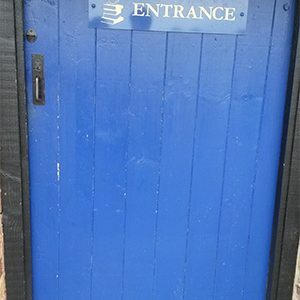 Cunningly disguised as a group of farm buildings and with sections called the Children’s Hayloft and the Ten Bob Barn don’t expect it to be a quick visit. 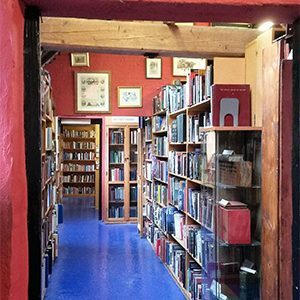 They have over 75,000 books with a large percentage available to buy online that range from nearly new, to antiquarian and a lot of out of print gems too. 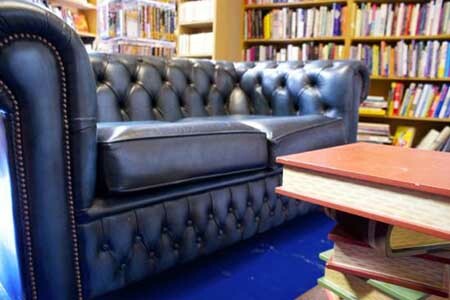 If you get peckish during your visit there’s a lovely little coffee shop on site too that sells rather scrumptious and very reasonably priced cake to nourish your need to peruse just one more shelf of literary delights. 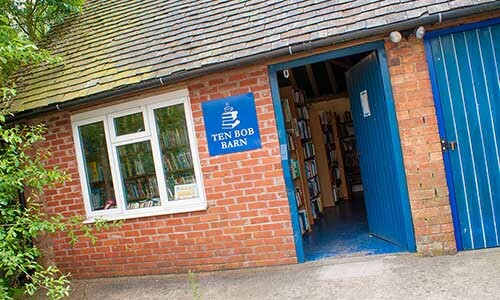 Astley Book Farm in Bedworth is the largest second-hand bookshop in the midlands and holds around 75,000 books. 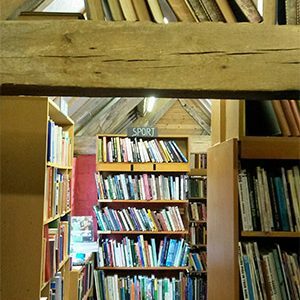 Situated on an old farm, this bookshop isn’t easy to spot unless you are specifically looking for it – and even then you might need a sat-nav to find the right road. 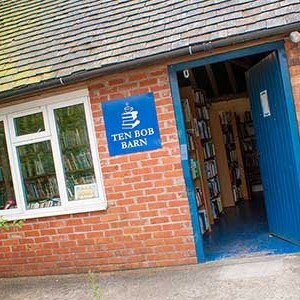 After parking the car we started in the ‘Ten Bob Barn’, all the books in here were 50p. 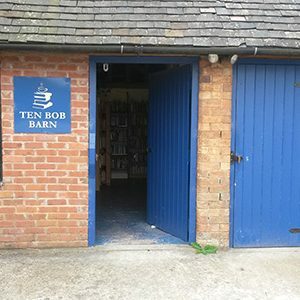 Separate to the main bookshop, this barn is smaller but still holds a fairly large amount of books; given enough time and luck I’m sure it would be possible for people to find some great bargains in here. 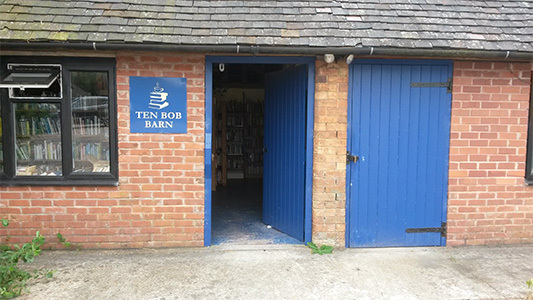 The main book barn itself doesn’t look particularly big from the outside but as I worked my way through it I was completely amazed by its size. 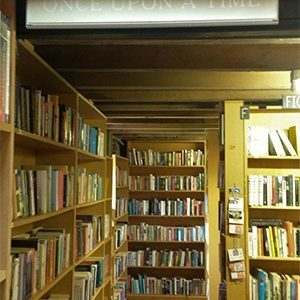 Each time I thought I was coming to the back of the shop there was a small step and even more books stretching as far as the eye could see. 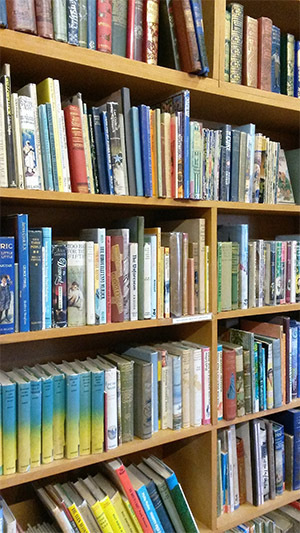 Despite its large size, the masses of fiction books are organised alphabetically so it is very easy to find any book you are looking for. 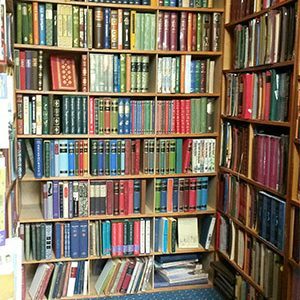 With such an immense choice of books, there is a great chance that if you’re looking for specific books they will have it – and if you’re not you will probably find something you didn’t even know you wanted. 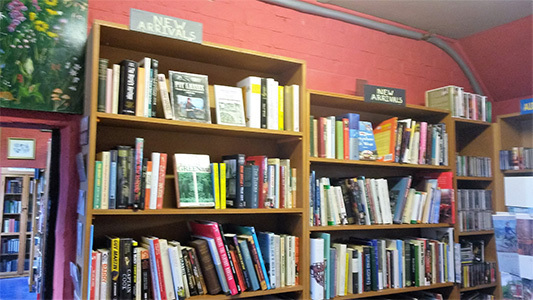 Additionally, there are sections for science fiction, poetry, biography, sport and other non-fiction subjects, so whatever you are looking for this bookshop has it covered. 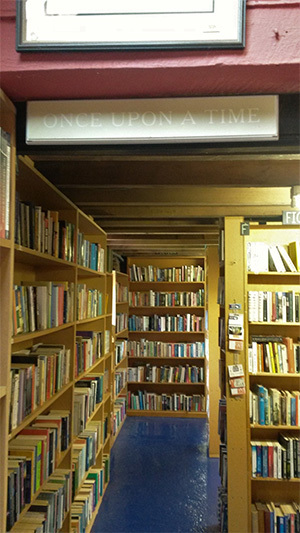 As a lover of beautiful and old editions of books, it was great to see that the fiction section often had different versions of the same book to choose from. 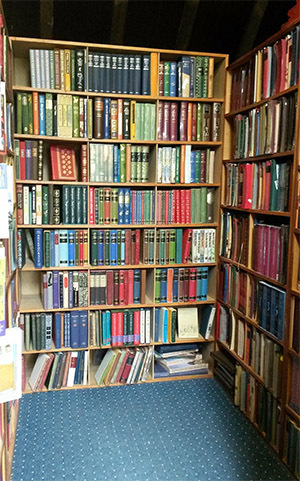 To my delight, there was also a section dedicated to Folio Society Editions. 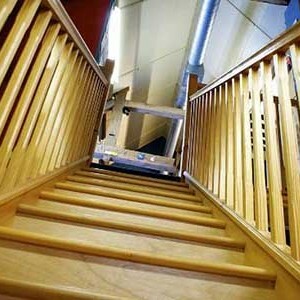 The rarer and more expensive of which were locked away in glass display cabinets. 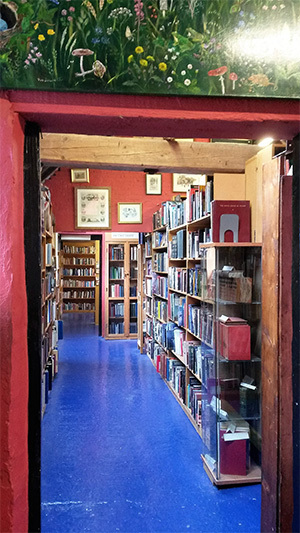 There was a whole nook of bookcases filled with them, and it was here I found a truly lovely copy of Cider with Rosie, in great condition and at a reasonable price for a Folio book. 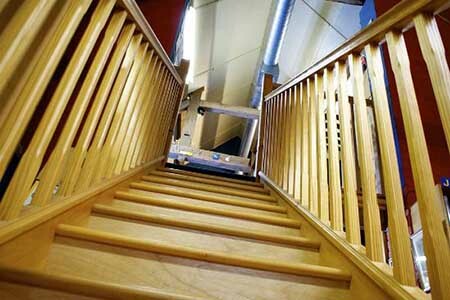 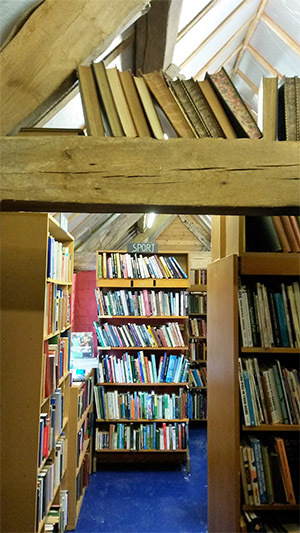 Children’s books can be found in the shop’s ‘Children’s hayloft’ situated up a small flight of wooden steps. 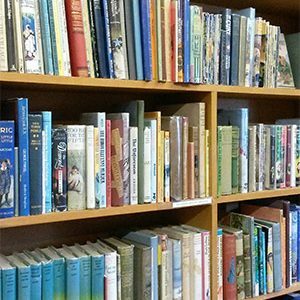 Here you can find a great range of second-hand kid’s books including some much-loved classics from Enid Blyton’s Famous 5 to J.M Barrie’s Peter Pan. 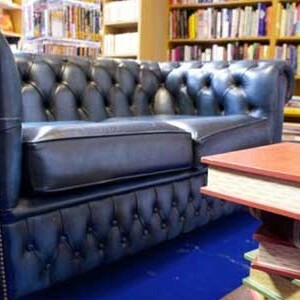 If you need a rest after looking at so many books the shop has several comfy chairs and sofas placed sporadically throughout the barn to give it a homely, welcoming feel. 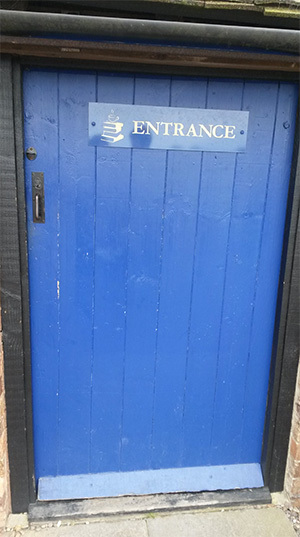 You will even find a wood burner which presumably keeps shoppers and browsers warm in the winter. 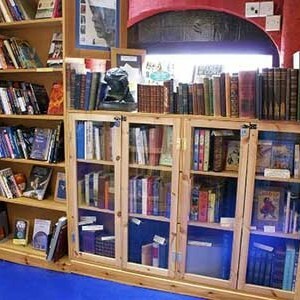 After spending several hours exploring everything the shop had to offer, we paid for our books, then headed to the café. 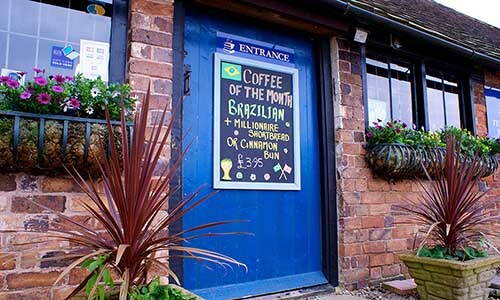 The café also offers somewhere to relax, drink and eat – great if you need to refuel after wandering the store’s full length. 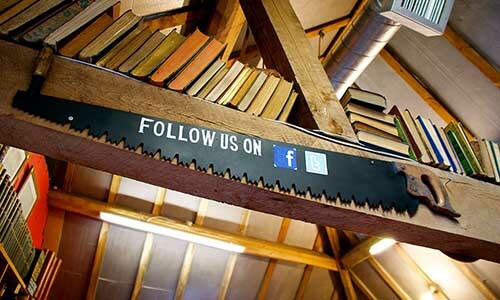 Astley Book Farm is by far the biggest and most amazing second-hand bookshop I have ever visited. 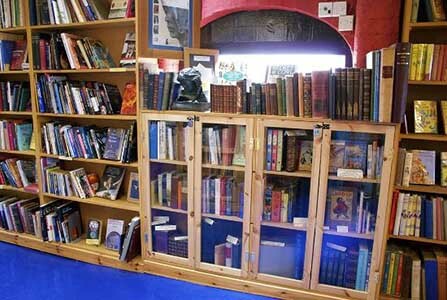 We spent over 2 hours there perusing the bookshelves and refueling in the café, but we could easily have spent a lot longer. 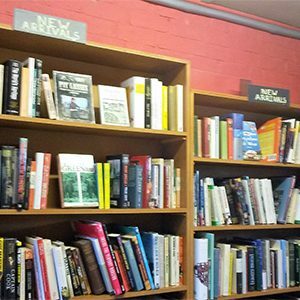 Book lovers who are local to the area are lucky to have such a great second-hand bookshop with an enormous catalogue of literature to choose from. 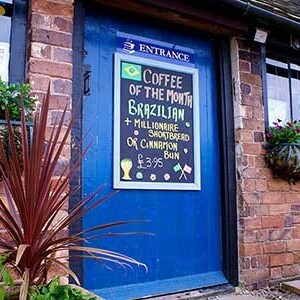 If you are visiting the area I would definitely recommend a trip here, you won’t be disappointed.